Each pair of electron making a covalent bond is represented by a dash (—). 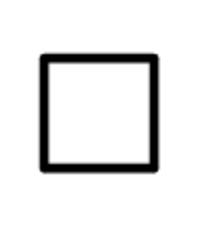 Two dashes represent a double bond and three dashes represent a triple bond. Such structural representation are called complete structural formulae or graphic or displayed formulae. These structural formulae can be further condensed by enclosing the repetitive structural unit within a bracket and placing an integer as a subscript indicating the number times the structural unit gets repeated. 1) It is a simple , short and convenient method of representing organic molecule. 2) Carbon-carbon bonds are shown by lines drawn in a zig-zag fashion and carbon atoms by line ends and intersection. 3)A single bond is represented by a single line , a double bond by 2 parallel lines and a triple bond by three parallel lines. 4) Carbon atoms are not shown but all atoms other than carbon and hydrogen atoms such as oxygen, nitrogen, halogen are shown on zig-zag line. 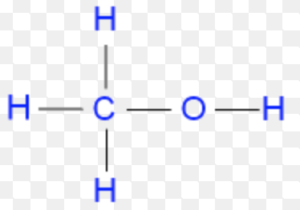 5) Each carbon on the line end or intersection is attached to required number of hydrogen atoms i.e. terminal denote CH3 group and an unsubstituted intersection denotes a CH2 group. 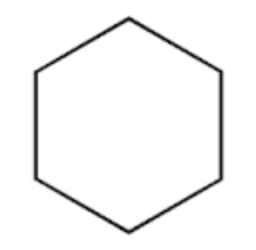 There are many organic compounds ,in which carbon atoms are not joined in a chain but are joined in a ring.These are called cyclic compounds and are usually represented by polygon without showing carbon and hydrogen atoms. 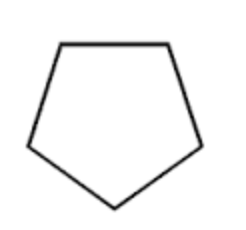 The corners of a polygon represent a carbon atom and the sides of a polygon denote a carbon-carbon bond. 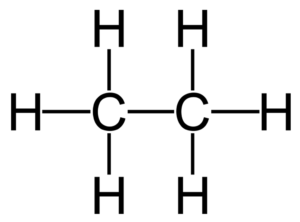 If an atom or a group of atoms other than hydrogen is attached to carbon, then that atom or a group of atoms is shown in this structure. 1) The three-dimensional structure of organic compound can be represented on paper by using certain conventions. 2) By using solid and dashed wedge formula, 3-D image of a molecule from a two-dimensional picture can be perceived. 3) The thick solid line or the solid wedge indicates a bond lying above the plane of the paper and projecting towards the observer. 4) A dashed wedge is used to represent a bond lying below the plane of paper and projecting away from the observer. 5) Wedges are used in such a way that the broad end is towards the observer.The bond lying in the plane of paper are depicted by using a normal or an ordinary line. A representation which completely describes the actual positions of various atoms of a molecule in space is called a spatial formulae or three-dimensional i.e. 3-D structure.